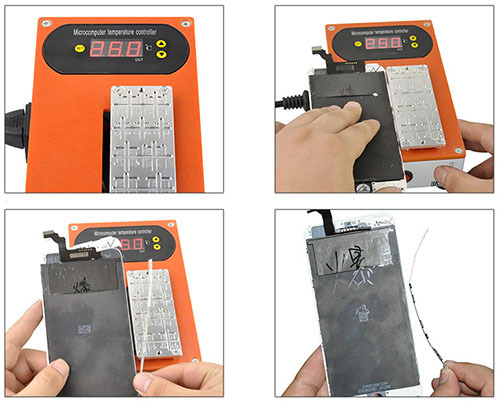 Phone Screen Separator is an unversal electronic Hot Plate Preheat Station. Bezel Frame Remover can clean glue for IPhoneX. 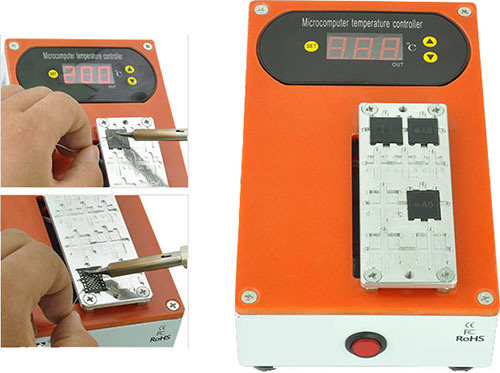 Preheat Station is a high quality Motherboard Desoldering Rework Station. Temperature Adjustable: 50-480°C. 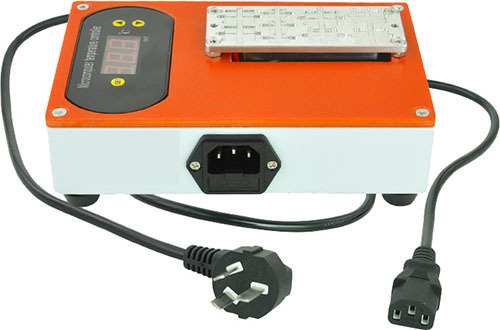 High-Precision Temp Controller, ±2°C. Easy to operate, no damage the LCD screen. High-precision slot for all iPhone series CUP, fit for the chip perfectly. 4 rounded corners and 1 line in the middle , easy to take out the chip. After heating, can clean the glue easily. 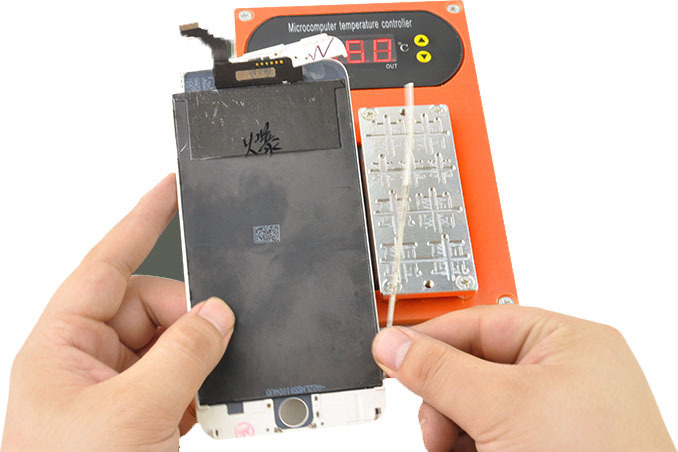 After heating can clean the glue for Samsung Edge LCD easily, no damage the flex cable and the LCD screen. 4. The frame is successfully removed once, and the operation steps of the two sides are the same.